Before I get too deep into breaking down the Board of Commissioners meeting held on April 1st, perhaps it might be best to address an ongoing issue that’s caused many rumours and much controversy in recent days: the rules surrounding yard waste pickup in Ramseur. Our current policy regarding solid waste removal practices states, in bold print, “Tree stumps, tree trunks and limbs produced by landscape workers, tree trimmers or contractors doing such work will not be hauled or removed by town trucks.” That seems pretty clear to most reasonable people: if you cut it yourself the town will haul it away; if you hire someone to do it for you, the town will not. Obviously there will be times when things slip through the cracks. It’s not like our police officers or public works employees spend time riding around taking note of who’s cutting trees and whether they’re doing it themselves or paying a professional, but when someone becomes a public official one of the first lessons they learn is that everyone is watching. Elected officials are no exception. Just look at the history of television shows like Saturday Night Live, which has been poking fun at presidents and other politicians for over thirty years now. When you put your name on a ballot to run for office, or get yourself appointed to a public board, every action you take is open to scrutiny and fair game for every critic around. It’s how freedom in America works, and I wouldn’t have it any other way. Several weeks ago, Commissioner Grant Cheek and his neighbor, Commissioner* Adam Smith, began having landscape pruning and tree work done on their adjacent properties. Like many people in town, I sometimes use Elam Avenue, where they both live, to get from my neighborhood to or from U.S. 64. It’s a public street, our taxes pay for it, and we all have as much right to drive there as anyone else. If you hear Grant Cheek or anyone else complaining about being stalked or watched, please remind them of all I’ve written above. One day, about three weeks ago, I saw a young man trimming crepe myrtles in Mr. Cheek’s front yard. It was the middle of the day, give or take an hour, and I thought nothing more about it. 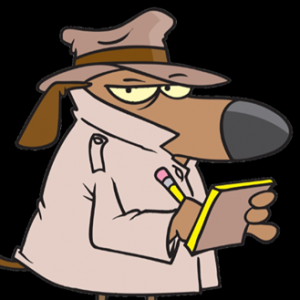 I knew it was Cheek’s house, but Grant Cheek doesn’t occupy space in my brain unless I’m writing about his behavior as a public official in Ramseur. What he does outside that role is none of my concern. About a week later a neighbor who lives in the Elam Avenue/Holly Hill Street neighborhood contacted me and said a bunch of guys had been out working in both Cheek and Smith’s yards all weekend, March 23rd and 24th, cutting trees, trimming bushes, and stacking the brush along the street frontage the way our local ordinance states it should be done when Suez/Ramseur Public Works is expected to remove them. Commissioner Cheek knows the rules, since he is the commissioner in charge of public works. I became curious about how this would play out, so I asked a few more neighbors to keep an eye out and let me know if any Suez/Public Works employees showed up to remove the branches. I received photos of the people working in both yards, as well photos of the same men working in another yard farther down the street the following weekend. No doubt about it, these were hired landscape professionals, not just a bunch of Cheek and Smith’s friends working for free pizza and beer. I even know a couple of their names and can put you in touch for an estimate if you need some tree work done. 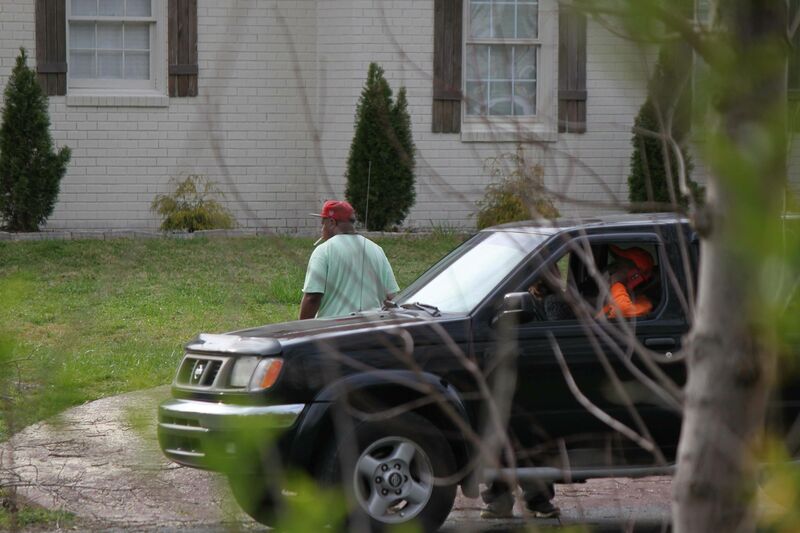 On Monday, April 1, 2019, I received messages and calls from several people in town, stating that Suez employees were then on Elam Avenue in front of Mr. Cheek’s home, running a wood chipper, so I got in my car and drove over there. Sure enough, there was a truck with Town of Ramseur plastered across the door, chipping tree branches cut by a hired service, in direct violation Town of Ramseur policy. I made no effort to hide the fact that I was recording video as I drove past those workers. For the record, if your job requires you to work in a public space, such as a residential street, you have no legal expectation of privacy on the job; just ask any police officer who’s ever had a cellphone camera pointed at them while making an arrest. I have no beef with the guys who work for Suez, or any other workers, doing their jobs; we all have to eat. I have a serious problem with elected officials who abuse the power and status of their offices to obtain services not available to other citizens. That’s a serious violation of ethics standards almost anywhere, and may even constitute criminal behavior in some places. Grant Cheek told one neighbor, over the telephone, on Monday, April 1st, that he had done a favor for his tree trimmer and in exchange the trimmer would help him with his trees. That is the textbook definition of a barter. 1. (with object) to trade by exchange of commodities rather than by the use of money. 2. (without object) to exchange in trade, as one commodity for another; trade. 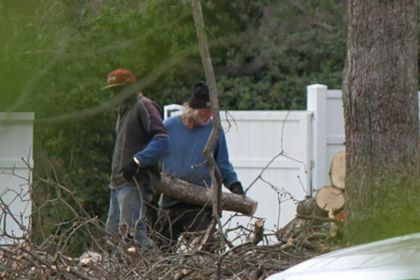 If the IRS says you must report bartering as income, then for the purpose of determining who should bear the cost of removing yard waste it seems to me that the Town of Ramseur should treat those materials the same – whether money was exchanged or not – as being generated by a professional service. Smith and Cheek’s tree trimmers were not doing this work for zero gain, out of the goodness of their hearts, and they were not all family members; they are tree trimming professionals who regularly work for anyone willing to pay their fee. Whether Cheek and Smith paid them in cash or if some other service or commodity was exchanged is irrelevant. Any branches cut should have been removed by the trimmers or others at the expense of Cheek, Smith, and any others who hired the same men for similar service in Ramseur, but that is not how it happened and is still happening. As of this writing there were still a few branches remaining in Mr. Smith’s yard, on the Bush Street side, and another pile they left is still in place farther down the street at another residence. This is yet one more example of Smith and Cheek, like Commissioner Randy Cox in his substandard housing unit downtown, abusing their positions as elected officials. These men are clearly using their status as elected officials for personal benefit, twisting rules and stretching the truth to save themselves and their friends a few dollars that any other citizens would have to pay for out of our own pockets. All of them should resign today.